Home » What Is Socialism? Perhaps the best argument socialists make about their political beliefs is that few people in the modern Western world understand what socialism is. Although the word is often thrown around in various political debates, both positively and negatively, many people in Europe and the United States don’t understand the traditional Marxist view of socialism. Most of the confusion over socialism is understandable, as I’ll explain elsewhere on this website, but it has also presented significant challenges and opportunities for those who have embraced this ideology. Because people generally don’t understand what socialism is, socialists, liberals, and progressives have been able to sway many people into identifying as “socialist” despite having very little in common with the historical ideas associated with this political philosophy. When Westerners think of socialism, even self-described socialists, they typically imagine specific socialized industries or authoritarian regimes, but rarely do they contemplate the socialized societies Marx and others dreamed of making. For instance, many American socialists support single-payer health care, free college tuition, and other progressive policy ideas, but very few of these people openly advocate for the socialization of agriculture or requiring all industries to be collectively owned. The primary challenge many socialists face resulting from people’s lack of understanding about socialism is that they constantly feel like they must defend their views against what socialists consider to be caricatures of their system. For example, it’s become quite common for American libertarians and conservatives to refer to the collapsing Venezuelan economy as a prime example of how socialism fails, even though Venezuela hasn’t completely adopted many Marxist ideas. One of the reasons few people understand what socialism would look like in its fully developed form is both conservatives and liberals in the United States have used the term as a catch-all for policies that increase the power of the government, especially the national government. This is, to some extent, a fair use of the word. A “socialized” medical system is one in which the government pays for and/or operates the delivery of all health care services—or at least pays for all health care services. Such a system is socialistic in that it emphasizes and empowers the collective over the rights of the individual citizen and business owner, but it’s a far cry from the socialism of Karl Marx and Friedrich Engels, two of the most influential socialists in history. Before I outline the essential components of Marx’s socialism, it’s important to remember that although Marx’s ideas have been more influential than the ideas of any other socialist, socialism, similar to other economic and political systems, is a big-tent ideology that includes numerous ideas and philosophies. Just like there is no clear definition of “conservative” or “liberal,” with socialism, you’ll find many politicians, pundits, and parties with very different policy proposals and political philosophies. On this website and in my book Socialism Is Evil: The Moral Case Against Marx’s Radical Dream, I’ve chosen to focus on Marx’s socialism, which in its final stage is called “communism,” and the “European-style socialism,” sometimes referred to as “democratic socialism,” found throughout Western Europe, Canada, and the United States. These two brands of socialism pose the greatest challenges for capitalists in the West and are the most likely to become more popular over the next century. The following sections describe socialism as Marx and his ideological descendants understood it, followed by a brief description of how these ideas differ with the more moderate European-style socialism, which may not rise to the level of being considered “evil,” but certainly shares many of the same moral issues found in Marx’s socialism. The history of all hitherto existing societies is the history of class struggles. Freeman and slave, patrician and plebeian, lord and serf, guild-master and journeyman, in a word, oppressor and oppressed, stood in constant opposition to one another, carried on an uninterrupted, now hidden, now open fight, a fight that each time ended, either in a revolutionary re-constitution of society at large, or in the common ruin of the contending classes. In the earlier epochs of history, we find almost everywhere a complicated arrangement of society into various orders, a manifold gradation of social rank. In ancient Rome we have patricians, knights, plebeians, slaves; in the Middle Ages, feudal lords, vassals, guild-masters, journeymen, apprentices, serfs; in almost all of these classes, again, subordinate gradations. But does it really make sense for everybody to own everything in common? Of course, some goods tend to be for personal consumption, rather than to share—clothes, for example. People ‘owning’ certain personal possessions does not contradict the principle of a society based upon common ownership. The distinguishing feature of Communism is not the abolition of property generally, but the abolition of bourgeois property. But modern bourgeois private property is the final and most complete expression of the system of producing and appropriating products, that is based on class antagonisms, on the exploitation of the many by the few. In this sense, the theory of the Communists may be summed up in the single sentence: Abolition of private property. In a world with few, if any, markets and perhaps no money, people would get the products and services they need from the collective (many socialists would reject that this group should be called a “government”) without having to “pay” for anything. How exactly would this scheme work? Socialists have come up with a range of theories, including the use of vouchers. Under a voucher system, instead of buying groceries each week with money, you would present a clerk with a grocery voucher entitling you to a predetermined amount of food products for you and your family, based purely on “need.” The same would be true for virtually all other goods and services, including clothing, consumer electronics, and housing. People would get what they “need,” but not necessarily what they want, and there would be protections in place to keep some people from taking more than others in society or from “exploiting” others through the accumulation of wealth. A key feature of virtually every modern socialist movement is its commitment to democracy. For those of you who, like myself, spend a substantial amount of time listening to or reading conservative thinkers, you might be surprised to hear of the important role democracy plays in modern socialist thought, but there’s no question whatsoever that for many socialists, a fully formed socialist system must be controlled democratically. This isn’t to say that there haven’t been people who sought to create collectivist societies using authoritarian means; the history of Marxism is full of such people. However, in modern socialism, very few are calling for authoritarian control of the means of production, and Marx’s view of how socialism ought to work precluded any notion of a ruling class governing the rest of society. CONTINUE READING ABOUT SOCIALISM BY READING THE SECOND PART OF THIS ARTICLE. PHOTO: Statue of Mao Zedong in central Lijiang. The city is famous for its UNESCO Heritage Site, the Old Town of Lijiang. Photo provided by iStock user aquatarkus. Karl Marx, The Communist Manifesto, Amazon Digital Services, Kindle Edition, n.d., pp. 13­–14, ASIN: B00MJJ7YZE. 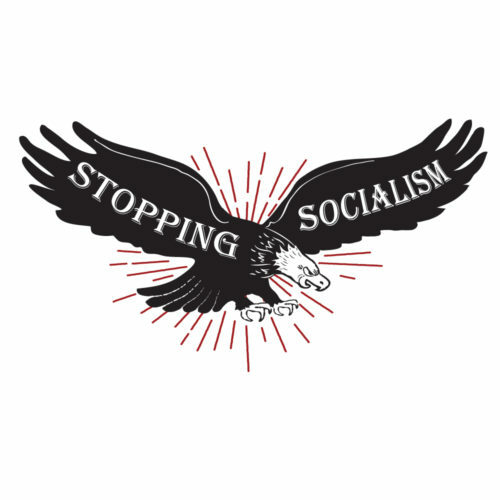 “What Is Socialism?,” The Socialist Party of Great Britain, accessed May 25, 2018, https://www.worldsocialism.org/spgb/what-socialism. Karl Marx, supra note 1, p. 13. Note that not all socialists agree that there shouldn’t be markets. Some believe markets can operate within a socialist model, but only if all the means of production (all industry) is collectively owned. The Socialist Party of Great Britain, supra note 2. “Socialism As Radical Democracy: Statement of Principles of the Socialist Party USA,” Socialist Party USA, accessed May 25, 2018, https://www.socialistpartyusa.net/principles-points-of-agreement. “Where We Stand: Building the Next Left,” Democratic Socialists of America, accessed May 25, 2018, http://www.dsausa.org/where_we_stand#dc.